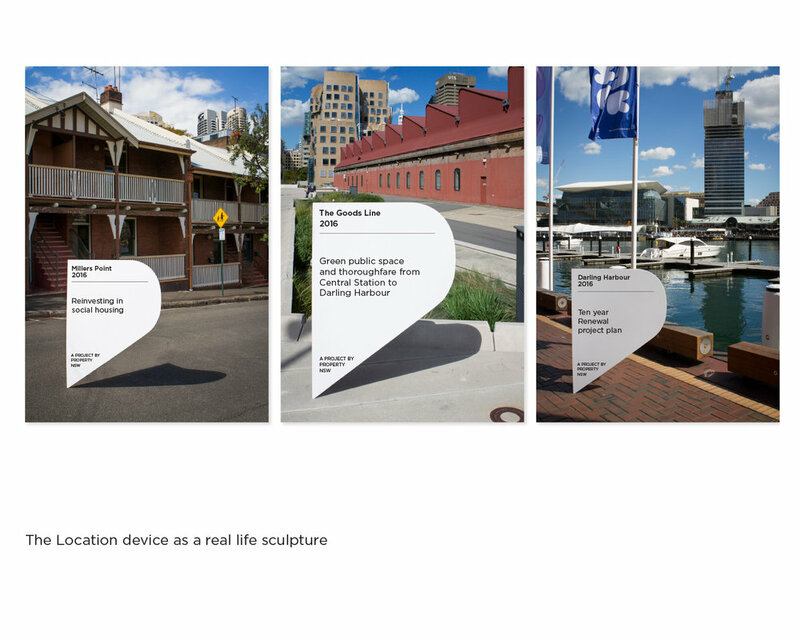 Branding and Marketing material design for NSW Government Agency - Property NSW. The letter P identifies the brand which doubles as a digital geo-location marker. The shape can either be created in real life or digitally. Branding and Marketing material design for NSW Government Agency - Property NSW. The letter P identifies the brand which doubles as a digital geo-location marker. The shape can either be created in real life or digitally. Property NSW manages the state assets. The standard NSW Government Waratah logo remains.